Advanced Technical Services (ATS) has been the Manufacturing, Construction and Architectural source for 2D and 3D Computer Aided Drafting and Design since 1988. 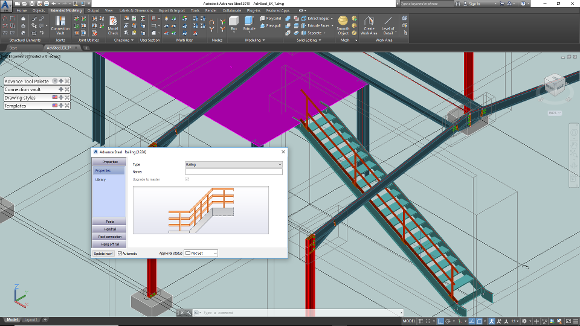 ATS recently added Autodesk's Advance Steel to their software lineup and now offer 3D Steel Detailing Services. Our CAD Design Technicians are experienced in both structural and miscellaneous steel projects. ATS handles a wide range of CAD and design projects with a team made up of talented individuals with diverse backgrounds and expertise. And with ample resources and a dedicated staff, ATS can start projects immediately and provide a quick and accurate turnaround. The CAD team also utilizes the latest software and technology to assist with both the communication and implementation of projects, which improves both the efficiency and effectiveness of ATS’s CAD services.